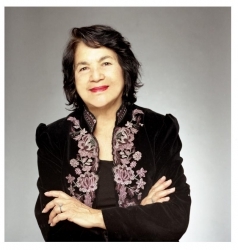 Come help Dolores Huerta celebrate her 84th Birthday! Join Dolores and her friends for food, fun, and, of course, dancing, at the exquisite Mexican Cultural Institute of Washington DC. Sing Happy Birthday, then watch her blow out 84 candles. 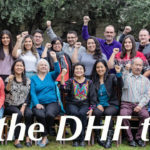 More importantly, help ensure the legacy of Dolores Huerta’s work by supporting her foundation – the Dolores Huerta Foundation. Every dollar you help raise or donate will go towards provide hands-on training for community organizing, indigenous leadership development, and effective policy advocacy and create a network of healthy communities pursuing social justice. Join the Host Committee!!! (Host Level $350 give or get, ex. Host Tickets $100 plus sell 5 tickets). Organizational levels $2500 $5,000 $10,000 up to $20k.